While many Americans were busy wrapping and unwrapping Christmas gifts, another controversy emerged in Washington concerning the possible re-nomination of liberal activist Chai Feldblum, current member of the Equal Employment Opportunity Commission seeking a third term. Feldblum isn't just any liberal activist, she was an Obama-appointee to the commission. She was first appointed by recess appointment because she was too controversial to get through a Democrat controlled Senate, until former Senate Majority Leader Harry Reid changed the rules. The controversy around Feldblum, in part, was her role in drafting the Employment Nondiscrimination Act (ENDA), a bill designed to impose government-mandated sexual orientation and gender identity "rights" in private hiring practices. The Senate previously passed ENDA only to stall in the Republican-controlled House in 2013. Religious liberty advocates such as Senator Mike Lee (R-Utah) and Senator James Lankford (R-Okla.) have blocked a vote on her confirmation this past Congress because of her radical views on how special rights on the basis of sexual orientation and gender identity should prevail over First Amendment religious liberty protections. 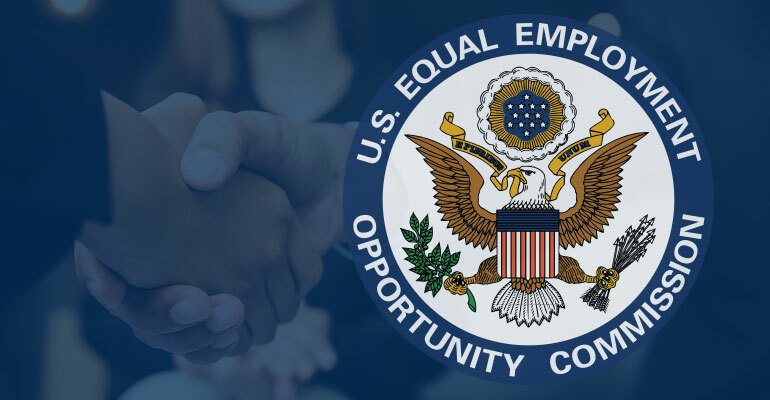 Since Feldblum's term expired on December 31, the question remains whether the White House will re-nominate her to the EEOC as one of the commission's slots chosen by Senate Democrats. She previously stated, "Sexual liberty should win in most cases," and "There can be a conflict between religious liberty and sexual liberty, but in almost all cases the sexual liberty should win ..." In fact, she declared, "I'm having a hard time coming up with any case in which religious liberty should win." [see Peter Sprigg's blog post for full citations]. Given this president's strong support for religious liberty both domestically and internationally it's difficult to see her being re-nominated and being confirmed in the U.S. Senate. Feldblum's confirmation controversy is all the more timely given her views about a new proposed piece of legislation mistakenly endorsed by two evangelical entities. We wrote recently about the many problems with the "Fairness for All" proposal. This so-called compromise by some evangelicals would enshrine sexual orientation and gender identity privileges into federal civil rights law, but with limited religious liberty protections for churches and religious associations. 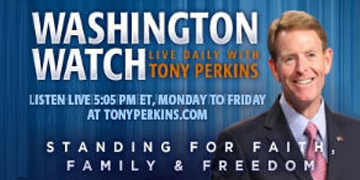 Dr. Everett Piper, president of Oklahoma Wesleyan University, rightly criticized this proposal in the Washington Times, where he pointed out that it is a fool's errand that will undermine itself, since granting minority protected status in law on the basis of sexual orientation and gender identity will inevitably undermine religious liberty exemptions. Piper used Feldblum's radical stance on SOGI rights usurping religious freedom protections as an example. She responded to Piper's piece claiming that she does, indeed, support religious liberty protections for "religious organizations" even if they disagree with her views on LGBT issues. Yet it remains unclear if Feldblum has reversed her prior views. Does she now think that religious freedoms guaranteed by the First Amendment should extend to individuals and entities in the public square, regardless of whether they are religious organizations or small businesses operated by the likes Jack Phillips of Masterpiece Cakeshop who have repeatedly faced government discrimination for their faith on matters of sexuality and marriage? It seems Feldblum may be open to some religious liberty protections, but limited to certain types of organizations, rather than individual right protected by the constitution; a view that is not reflective of the president or most Americans. LGBT activists aren't content to only add legal requirements to employment law as Feldblum's bill ENDA would have done. Indeed, they have new model legislation that is much broader and would make sweeping changes to over 25 areas of law -- not just employment law -- by adding LGBT government requirements. As I said on Fox News recently, Feldblum has taken a position 180 degrees from the Trump administration when it comes to religious freedom, and she reflects "era of the past, the Barack Obama era of hostility toward religious freedom." Americans should respect each other and agree to disagree, but we don't need laws that would punish people of faith for disagreeing over matters of faith and human sexuality. And we don't need Chai Feldblum on the EEOC leading the charge to weaponize the workplace to undermine people's sincerely held religious beliefs on the altar of liberal sexual ideologies. Hope Restored for Syria's Christians?